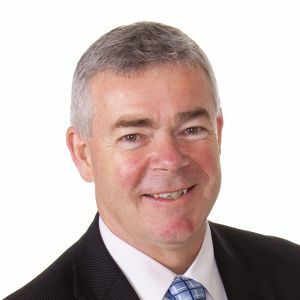 Thirty-five percent of business owners have no ultimate exit plan, according to research undertaken across more than 1,200 Australian SME businesses earlier this year for the second edition of the Scottish Pacific SME Growth Index. This research also found that most business owners would rather seek the advice of a friend or family member than a professional. This represents a significant opportunity for accountants to play an active role in encouraging clients to think about how they can work towards an effective exit strategy in their business. The topic is a timely one, given the recent report from Ernst & Young, highlighting that Australian family businesses rank poorly for succession planning. This is consistent with other statistics that show only one in three family businesses survive into the second generation –and only one in ten survive to the third. As a financier, it is not my place to advise accountants on how to structure and execute effective succession plans, but I can talk of situations where our clients have gracefully transitioned ownership. This has been made easier through appropriate business finance structures being put in place ahead of an exit. Over the years we have assisted many businesses to maximise value on exit. As our facilities provide the majority of the working capital and are secured against the business assets, any successor need only find the capital component, making it easier to execute a transaction. It's important to understand how to structure and finance a deal so that the seller and the buyer get the best possible outcome. Whether it is a family business succession, a management buy-out or buy-in or a sale to an unrelated party, what is crucial is the buyer's ability to meet not just the business' purchase price, but importantly its ongoing working capital requirements. There are plenty of funding options available to meet the purchase price, including vendor finance, but limited options for working capital unless property-based security is available to the acquiring party. In fact it’s much easier to find the purchase finance, if the working capital component is evidenced. When we talk to business owners seeking to fund succession, one of their key concerns is that their personal assets are tied to the business funding, which they fear will limit the number of potential acquirers and negatively impact the asking price. One way to ease the transition is to fund the deal using debtor finance, which smooths the way when businesses change hands (providing the funds not just to buy the business but to allow ongoing finance for day-to-day working capital requirements). As a line of credit that grows in tandem with turnover, debtor finance is an excellent funding option for growth businesses. A typical facility is similar to an overdraft, but secured against the value of the outstanding receivables ledger, without a requirement for real estate security. That facility is usually limited to about 80 per cent of the receivables ledger. In a succession situation, continuity of this working capital facility is almost a given because the debtor financier's security sits within the business, not as a personal asset of the vendor. This allows the business owner and their advisers to take the topic of ongoing working capital facilities off the table when negotiating with a potential acquirer. For an accountant, providing a client with a well-executed succession plan can strengthen the business relationship with both the buyer and seller, safeguarding existing and potential future income streams.